Shire Barn Garden 7x7ft Garden Shed features 1 x Large Opening window and 1 x Large Double Door. Excellent quality large and spacious 7ft x 7ft garden shed with plenty of head room. Ideal for those wanting a multi-purpose shed / workshop in the garden. 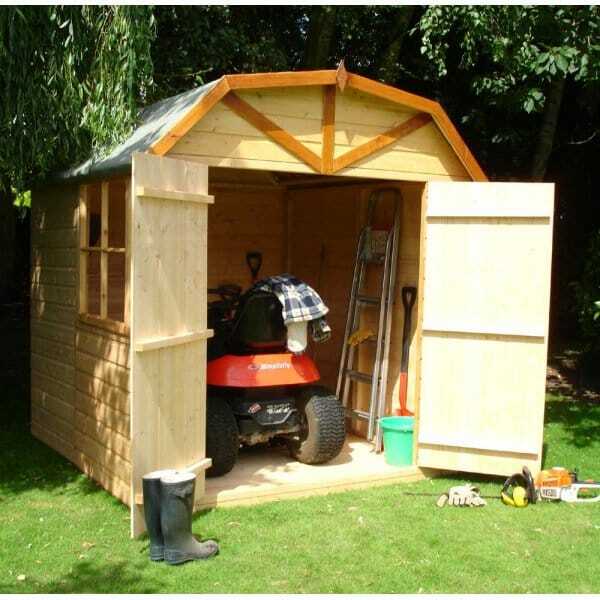 Shire Garden Sheds are excellent quality and delivered quickly in easy to handle sections. The Shire Barn Garden Shed is a very attractive Garden Shed which is often presented as a feature in the garden. This garden building is delivered with a factory applied base coat treatment. The shed will require the application of timber treatment within 3 - 4 months of assembly.